Chief Jian Yu. 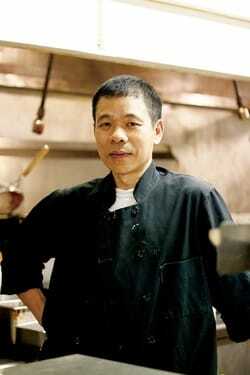 A longtime chef in his hometown of Kaiping, in China's Guangdong province, Yu brought his family to Phoenix in 1997. His cooking developed a reputation among Chinese residents, who followed him from one restaurant gig to the next until he took over Hong Kong Restaurant (adding the word "New") seven years ago. The art of traditional Chinese stir-fry has been passed down several generations. Jian Yu, the chief of New Hong Kong has began cooking at age 9, and now has been cooking for over 43 years. Everyday 11:00 A.M. -9:00 P.M.